Gen-Do Mindbody Institute is focusing on promoting “an embodied-mindful way of moving” in the world. The client reached out to us requesting a redesign of their existing website which needed various improvements. 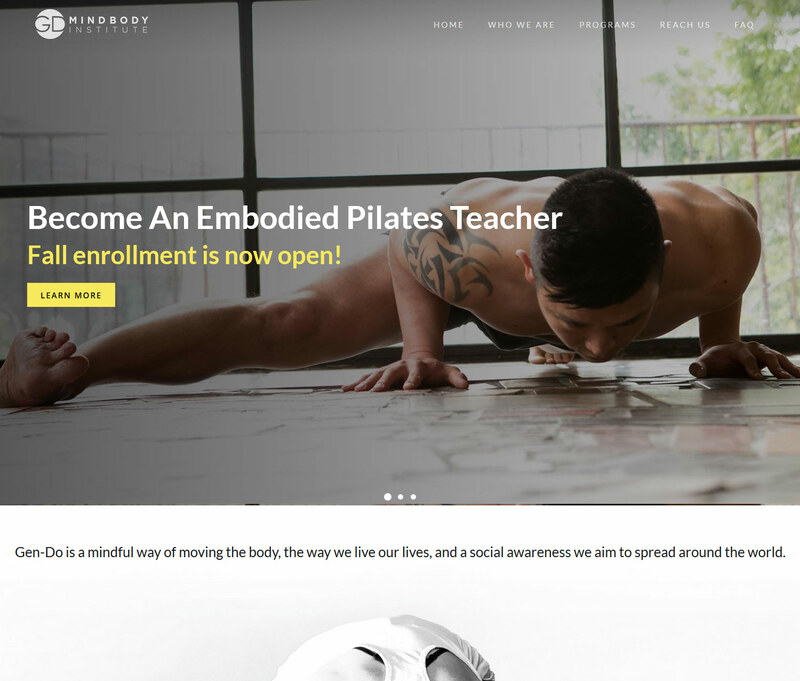 Before starting with the development of the website for Gen-Do Mindbody Institute, we first conducted our own research wanting to learn more about this specific health/fitness approach. Working closely with the team at Gen-Do Institute, we managed to develop a perfect website solution for their needs. The website is based on WordPress CMS combined with custom coding elements producing the best possible online representation of this unique brand. The client was really specific in what he wanted to be on the website regarding functionalities and the overall look. Together with the client, we went through each step of the development in order to achieve the level of wanted client’s satisfaction.We have optimized the website and enabled caching on order to improve the website’s performance and loading speeds. The website is coded mobile-first so it has priority when being indexed on Google. Once the website was finally live, we continued collaborating with the client providing ongoing technical support to make sure everything runs smoothly without issues.